Click on the VPN button at the beginning of the URL/Address Bar. 5. 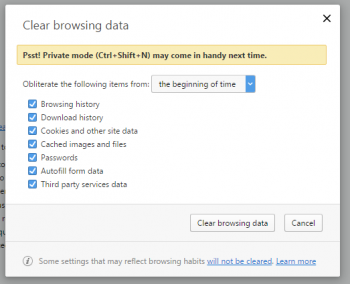 Then you get a Clear browsing data window. 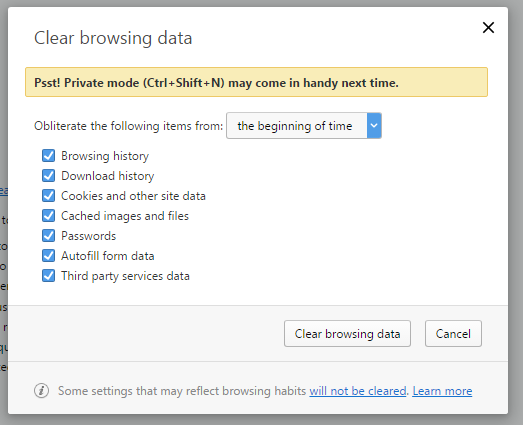 I like to set these options to the beginning of time and check everything else. The choice is yours. 6. 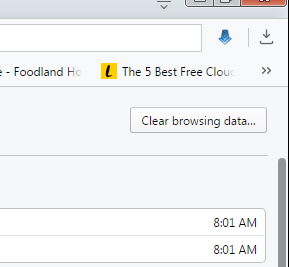 Then click on the Clear browsing data button. 7. Now, go back to your VPN options. You may notice the data transfered this month is now reset to 0 B. This works for now. So is it me? Or Opera? 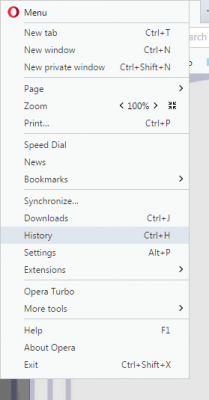 After reading your previous article, I decided to give Opera a try. 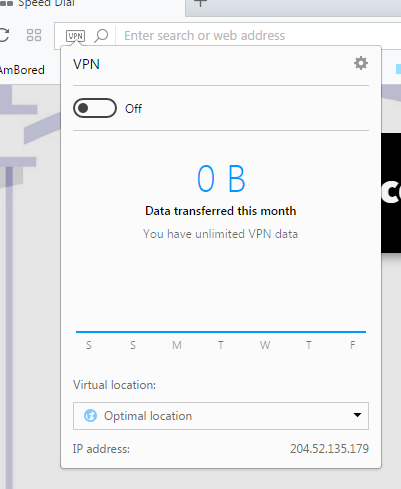 I’ve had no problems with the VPN feature at all. I’m using Opera 45 on a Windows 8.1 laptop. Perhaps it could be the ISP? I don’t think it’s my ISP. If they where trying to block me I think I would’t be able to fix this at all. If the next upgrade doesn’t clear it out I’ll probably uninstall it and then reinstall it to see if that clears it out. I have it installed on my second Win 7 computer and it connects automatically no problems. So it’s just something on my Acer. I had the same problems with Opera and switched over to TunnelBear during the downtime of my Opera. What I like about TunnelBear is that I can use any of my Browsers because my computer has been setup as a VPN as opposed to just Opera itself. This way I can use the Browser of my choice. The downside of TunnelBear is that the “Little Free” is 500MB of free data every month which I used up in a matter of days. The upside is that I can use my account for TunnelBear on my Android Smartphone and my Apple iPad so I’ve subscribed to Grizzly $4.99 /month $119.88 discounted as a special offer of $59.88 for 12 months, Unlimited data. I’m very happy with TunnelBear thus far. I already subscribe to a service called Private Internet Service. It cost me $14.95 every three months. Got no complaints with it so far.